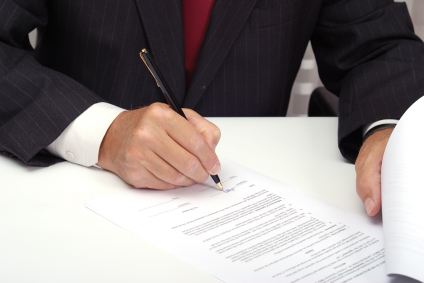 A few years ago, the attorneys who work for the California Association of Realtors (CAR) rolled out some new forms to compliment a bevy of changes to the new and improved Residential Purchase Agreement (RPA) launched in 2015. One of these new forms is called the Notice to Buyer to Perform. Sounds pretty serious, right? It is very serious, and in my opinion, needs to be used as it was designed to be used. Let me elucidate. The RPA has a number of dates associated with the performance of certain steps. All of these are triggered by whats referred to as the Date of Acceptance which is the date that the contract  including all counter offers - is actually agreed to by the buyers and the sellers. The most significant of these dates are the removal f the buyers contingencies. Once a purchase contract has been fully executed and the clock is ticking, the default dates in the RPA stipulate that the buyers inspection and appraisal contingencies be removed within 17 days of Acceptance and the loan approval contingency be removed within 21 days of Acceptance. The removal of all the buyers contingencies renders the buyers initial deposit forfeited should the buyers then decide to cancel. With me so far? So what do the sellers do during the 17 and 21 days the buyers have to remove their contingencies? Wait. And hope. Some sellers pray. Some agents pray with their sellers. Savvy sellers agents get their Notice to Buyer to Perform forms ready to send on the exact day they are eligible to be sent. The CAR attorneys built these forms to be sent two days before the date the buyers are due to remove each if the applicable contingencies. So why arent they used in every single real estate transaction? It feels heavy handed. The NBP gives the seller the option to cancel the contract if the contingency is not removed on time. It might scare some buyers into cancelling the contact to avoid the forfeiture of their deposit money, if for any reason they need a little more time to get their ducks in a row. Most sellers want to hang on to the buyers theyve agreed to work with and finish the transaction. Especially when its a buyers market and they know they are the only motivated buyers the sellers currently have. However, in those halcyon days where sellers receive multiple offers initially, agree to hold one or two as Back Up offers, the buyers are in a different position. One missed date, coupled with the receipt of a NBP, and they may next receive a Cancellation of Contract from the sellers. Sending the buyers an NBP is crucial to the sellers success in hanging on to the best deal going. Without the NBP, cancellation is difficult and can take weeks, during which time the other Back Up buyers may disappear and leave the seller with nothing. And just so you know, if the buyers are likely to slip their contractually obligated dates for whatever reason, those sharp CAR attorneys also invented the Extension of Time form, of which I am also a huge advocate.